The training aid segment of the golf industry is one with incredible variety, there is literally something out there aimed at every single facet of the game. One of the more popular types has always been the weighted aid with a focus on strength and speed. The website www.GolfTrainingAids.com was kind enough to send in a newer entry to the weighted training aid market for THP to get a closer look at, the Saber 2.0. Craig Hocknull developed the Saber as a way to train his golf swing when he wasn’t on the course. While traveling in between tournaments, Craig was able to use the Saber to keep training STRENGTH, SPEED, TIMING and TECHNIQUE. The Saber is a great tool to use in the living room, hotel room or driving range as it provides instant feedback so that you can correct swing flaws and develop efficiency. We have 5 models that will help players of all ages and abilities develop athletic freedom in their golf swings. The Saber is available in 5 styles depending on your size, physical ability and color preference. At its root, the Saber 2.0 is a weighted training aid, but it is much more comprehensive than that. The device comes in at 38” while being the heaviest version (of 5) offered. The version that THP got in is designed for men, taller women, and stronger youth players, and puts emphasis on strength, speed, timing, as well as technique. The whole goal here is on combining strength and speed with timing and technique. At first glance the Saber 2.0 may look like a one trick pony, but there is much more than meets the eye. 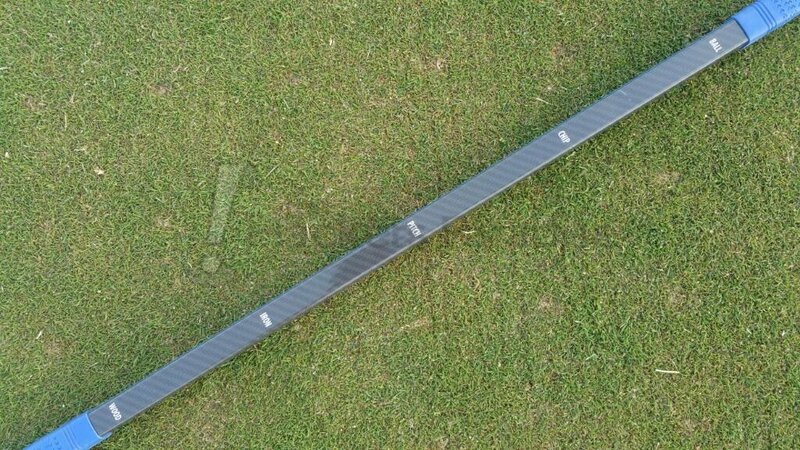 It is square in shape and this includes the grips on both ends as well, the purpose here is so that in hand there is a correlation for the user as to where the club face would be throughout the swing. One end is labeled as the “Heavy Swish” side focused on standard speed and weight training while the other is the “Lite Snap” which uses an internal “bead” to help with timing in lag and bottoming out the swing. 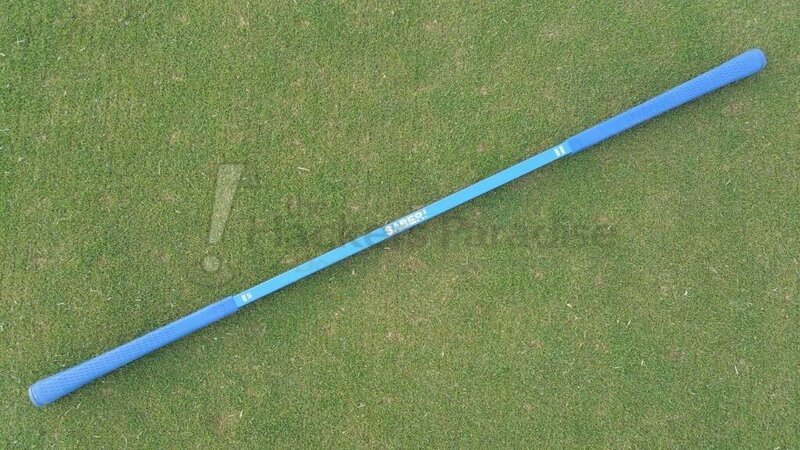 More than that, the Saber 2.0 itself is marked with ball position aids to serve as an alignment rod of sorts. A lot of training aids have come across this my desk, but the Saber 2.0 is one of the most versatile. As a high school golf coach, it was not just put into the hands of the better players, but absolute beginners as well. The feedback that it provided was concise, and effective. Worth singling out is the square shape in coordination with the “Lite Snap” side as when taken to the top and stopped, the timing “bead” is allowed to load up but also the user can look at their hand/club position, and through the square shape see the correlation of where the clubface is to the top of the swing and down. From there, the “bead” gives tremendous feedback on the downswing with the goal being to time the sound up with the bottom of the swing letting the user know they are not casting or coming over the top. 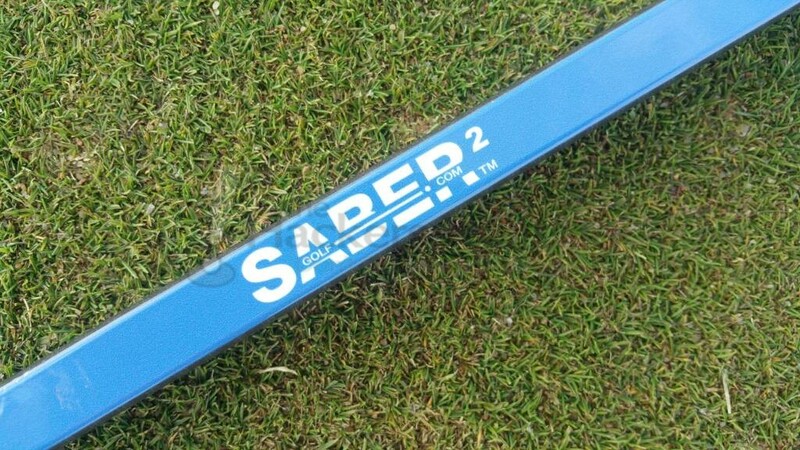 The Saber 2.0 offers a lot of options in one single training aid, it definitely falls into the “why didn’t I think of that” realm with its simplicity and versatility. The device runs the gamut from strength and flexibility training, all the way to swing positions. In fact, there are a plethora of exercises, uses, and instructions on getting the most out of the Saber on the company website (www.SaberSportsTrainer.com) which make it even more relatable and effective. While the price point of $119.99 will be initially steep for some, those who demand that their training aids should be multi-purpose will be able to see the value amidst the price. 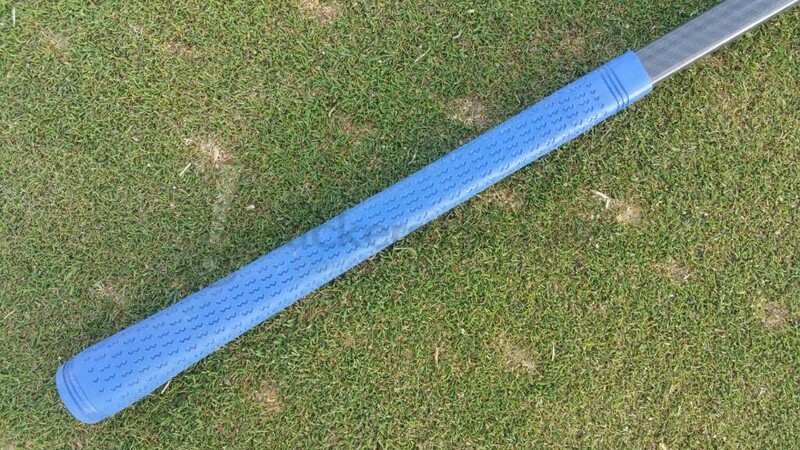 There really is no substitute for a good training aid. When a good one is released on the industry, it should be grabbed and utilized. The Sabre sounds like one of those aids. Great review James. Sounds like a solid aid that could benefit many. I think I am going to order one of these. Never heard of it but it sounds like something that would help me. Great Review, James! I’m going to look into this, think this could really help my game. Another great review James. I’m in the market for a swing trainer. The Saber’s square shape and timing bead are both features that make it stand out from the crowd. I really like the sounds of this training aid and I love the fact that it was given to some high schoolers to try out. You are right, why didn’t I think of this? I know I suffer from casting and some OTT swings from time to time (or every time). I really want to give this one a shot. I’ve struggled with timing, so this seems up my alley. It was fun reading your experiences with it in the thread.